Working from home mainly suits me very well. It became clear to me quickly that employment was not going to fit around our family life. Taking into account the cost of childcare for three children and commuting costs, most jobs available locally would have actually cost me money rather than earning it! Plus finding a job with hours to fit around school and school holidays (not to mention illness) was virtually impossible. Working from home allows me to save time commuting as well as the money. It was very difficult to see any advantages of employment, and though self-employment is not an easy option, I do make it work – but nothing in life is perfect and there are still challenges! 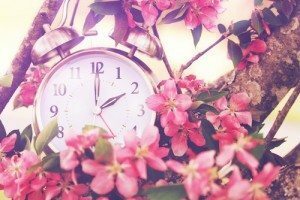 For me one of my biggest challenges is time management. If I am going out to a meeting first thing in the morning I can manage to leave the house in a relatively reasonable state. However when I am working at home I find it really difficult not to just quickly vacuum, hang out washing and if the sun is shining through the window and I can see a layer of dust it is so tempting to get out the duster…and before I know it I’ve ‘lost’ an hour of work time doing housework! The biggest problem is that I think everything will only take me just five minutes, but clearly this is not realistic – and I know this really! So it is fortunate that I do manage to be fairly organised in other areas. I don’t believe that I am naturally organised and so work hard to be able to find the things I need -a place and label for everything! Now just because I see that you can save time using a named file on the P.C., putting paperwork away and keeping pens and paper near the phone doesn’t mean that other members of the household have the same beliefs! So again I am left wasting time putting things back where they should be in order to maintain the ‘organisation’. The other problem I find with working from home is that I am seen to be able to sort out everything, because I am at home: can I just make a quick phone call here; a letter there; find quotes for this? Again this can take more than five minutes and time is precious. Being self-employed does mean that work is not consistent, very often all or nothing and vastly unpredictable. Forward planning is very important to counter-balance my poor time management skills and help me save time. Keep paperwork filed in date order and keep ahead of deadlines. The tax return is never a welcome job, but is not quite so daunting if broken down and worked on a little at a time. The HMRC site cleverly saves your progress, so make this a regular job and you will remember where you are at and won’t have a last minute panic. Schedule time to search for insurance quotes before the renewal date. Many quotes are valid for at least 28 days and it can be worth it financially to find a better deal. Make a regular time to check your bank account, I could kick myself when our account has gone overdrawn and I have been charged because I have forgotten to transfer money over! Keep ahead of your money and look for alternative borrowing if necessary. Take time to check the interest rates and there are options available with a less than perfect credit rating, for example Aspire Money may have the answer. Forward planning meals, if only on workdays, not only saves time searching the cupboards for something to make a meal, but also saves money when you are shopping for foods to make meals. If you’re struggling to fit all your tasks into one day, you could also consider investing in a time management training course. These courses are designed to help you become more efficient, both at work and your everyday life, and are one of the best ways to learn how to manage your workflow and get the most out of your workday. There are plenty of options available and some companies, such as Activia, can even tailor your training to your needs, helping you get the most out of your course. My children are the reason I work from home but are often a big cause of disruption to my ‘place for everything’ and I could waste countless hours putting away after them. There is nothing more distracting to me than clutter. I am a big fan of plastic tubs and those flexi buckets for storing toys, even young children can follow the rule of one thing out at once and put away before getting the next thing out. For the bits that seem to collect I have a tub for each child and put their bits into a tub and pop the tub in their room. If these things are important to them they must put them away! It more or less keeps control of clutter. Working from home is all about flexibility and one of the best things for me is being able to fit in a break, pop in my earphones and take my dog for a brisk walk through the woods on the days my youngest is a preschool. I am able to work better once I have had a proper break and it is so much more cost effective than spending money during a lunch break in town!